As with many law enforcement agencies across the state and nation, the Mt. Laurel Police Department is moving closer to outfitting its officers with wearable body cameras to record interactions between police and members of the public. Mt. Laurel Police Chief Dennis Cribben outlined the program to Mt. Laurel Council at its Feb. 22 meeting, during which time he detailed the benefits he believed citizens and officers would realize from the initiative. First and foremost Cribben said body cameras would provide an increased level of transparency between the police department and the community, while also increasing professionalism within the police department. “When officers know they’re being recorded, it’s human nature that they’re going to be just a hair more careful about how they act toward the community, and that’s a good thing,” Cribben said. Cribben said cameras would also help expedite allegations against police officers, which he said the department routinely receives but often has no definitive way to prove or disprove. Cribben noted one recent example where a Mt. Laurel officer was accused of racially profiling a woman after stopping her car for a broken brake light and writing her a ticket. The woman later filed an official internal affairs complaint against the officer and claimed the light was not broken, but video recorded by the camera mounted in the officer’s police vehicle disproved the woman’s claims. 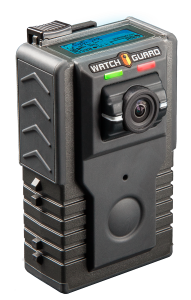 Cribben said body cameras would enable officers to record video throughout all calls, whether they were near a police vehicle or otherwise. According to Cribben, once a body camera is placed into a charging port at the police station, the videos from that camera would then be uploaded to the same Mt. Laurel Police servers that already store videos from officers’ vehicles. Cribben said videos would then be stored on the server for 90 days unless needed for a criminal investigation. For videos tied to a criminal case, police would assign those videos a case number and also burn the videos to a DVD to be kept with case evidence. That DVD would then remain with case evidence until the case was closed and enough time had passed where police were legally allowed to destroy paper records, at which time electronic copies would be destroyed as well. Regarding the costs of the program, Cribben said the state attorney general’s office had already approved Mt. Laurel and 16 other municipalities in Burlington County for a grant providing $500 toward the purchase of each camera. Cribben said he wanted to purchase 40 cameras for the department at a cost $750 each, but noted there were additional costs the grant would not cover such as warranties, software licensing and maintenance and peripherals. After applying $20,000 from the attorney general’s office, Cribben said the department would need an additional $37,000 in startup costs, but the department could get that money through a state department of transportation highway safety fund grant which department already receives annually. Cribben said once the program is implemented the department would then endure an additional annual cost of about $5,000 in software licensing fees, but that could also be funded each year from the same highway safety grant or by increasing the department’s annual budget by the same amount. Cribben said he believed the purchase of 40 cameras would provide enough equipment to allow every officer working in a patrol capacity during a given shift to have a camera on their person while also allowing enough cameras to remain charging at the station for officers starting the next shift. Cribben said the grant from the attorney general’s office would also require Mt. Laurel Police to use social media and the department’s website to advertise to citizens that officers were outfitted body cameras. Cribben also said there were lights on the devices so a person in front of an officer looking at the camera should be able to realize when the camera is active. However, Cribben said officers would have to specifically let citizens know they were being recorded in certain instances, such as if entering a home, school, health care or substance abuse facility, house of worship or when speaking with a victim. Those videos would then be tagged when uploaded to police servers, and for Mt. Laurel officers to view the videos police would need approval from the county prosecutor’s office or an individual in the Mt. Laurel Police Department designated by the prosecutor’s office to determine if police viewing the video was appropriate. Overall Cribben said the program would show the public that the department was willing to open itself up to scrutiny. Mt. Laurel Council said it would look to approve a resolution accepting the grant from the attorney general’s office at its next meeting.